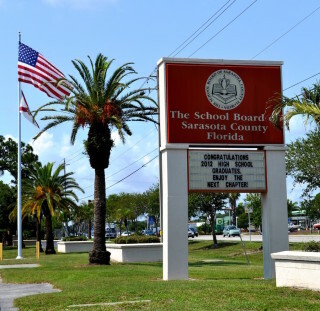 An agreement on the 2015-2016 contract between the Sarasota County School District and the Sarasota Classified/Teachers Association (SC/TA) was reached on Feb. 26, the school district announced. “Bargaining was protracted this year primarily because extensive negotiations were needed to reach agreement on how new state requirements for performance pay for teachers would be executed in the district,” a news release says. SC/TA negotiates for both instructional and support staff, the release explains. “Only instructional staff is affected by the new laws tying pay to student performance,” the release adds. Those who are eligible for one step will receive a 1.25-percent, one-time supplement in addition to the step, the release adds. Those who are not eligible for a step increase will receive a 2.5-percent, one-time supplement, it notes. Instructional staff hired after 2009 will be placed on a new performance salary schedule and will receive a 2.5-percent supplement, the release continues. Staff members on the performance salary schedule also will receive a half-percent supplement for each year they have worked since 2011-2012 “and were evaluated as highly-effective or effective,” the release notes. District negotiating team member Arthur Hardy — the School Board attorney — said in the release that the agreement allows newer teachers at the low end of the salary schedule to receive up to a 4.5-percent increase. The starting salary for new teachers proposed in the agreement is $41,000; the current starting salary is $40,265, the release adds. “Classified employees could advance up to three steps on the salary schedule. If an employee is not eligible to receive the steps, he or she may receive a one-time supplemental pay of up to 2.5 percent,” the release continues. District Deputy Chief Financial Officer Al Weidner said in the release that to put the agreement into perspective, it should be noted that last year, the School Board approved a 2.5-percent, one-time payment that did not continue into this school year. The agreement must be ratified by both the bargaining unit members and the School Board, the release explains. If it is ratified, the provisions it contains will be retroactive to July 1, 2015.